The 10 Best Summer Activities in Oklahoma! Oklahoma has no shortage of summer fun waiting to be had. 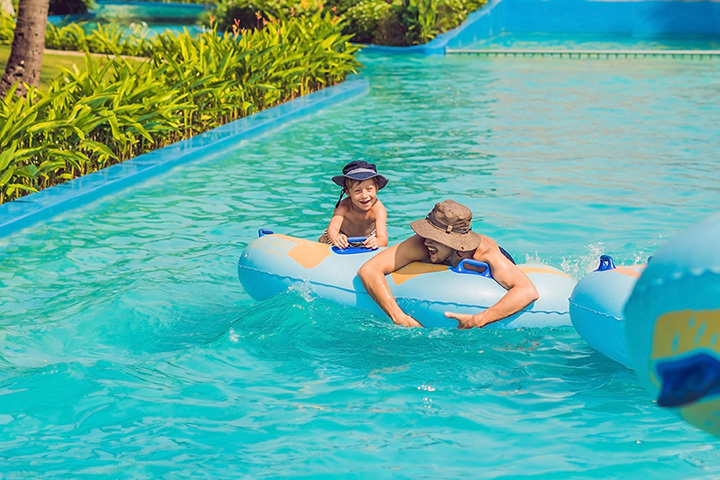 From splash pads and water parks, to outdoor theater and botanical gardens, to adventure parks to spend the entire day in, you’ll enjoy a variety of activities when the weather is nice in the Sooner State. Here are the 10 best! Riversport Adventures has adventures at Lake Hefner, Lake Overholser and in the Boathouse District. Rent a bicycle and go out on the pump tracks. Learn to stand-up paddleboard. Enjoy a ride on a zipline or challenge your children on the SandRidge Sky Trail, an 80-foot structure with rope bridges, balance beams and more. Opening day is May 27. The waterpark sits on 12 acres, and you can slip, slide, splash and float while staying cool in the water. The park also has a game center with video games and skeeball. Oklahoma Shakespeare in the Park was founded in 1985, and since then has put on a wealth of productions for the community to enjoy. Performing everything from its earlier productions of “Twelfth Night” and “A Midsummer Night’s Dream,” to “Macbeth,” and “Much Ado About Nothing,” Oklahoma’s Shakespeare in the Park is always of great quality. White Water Bay calls itself the largest water park in Oklahoma with more than 30 rides, pools, slides and other activities. It’s centrally located, near the interchange of I-40 and I-44. It’s one of the most popular places to spend the summer. On Friday nights, you can relax in the pool while watching a movie. Go underground in the only gypsum cave show in the United States. Tours are available, and you can take one of the 4 paths of the trail system. It’s a great way to escape the heat. Slides and splashes will help keep you cool when the temperatures soar. Safari Joe’s has Oklahoma’s largest and only water roller coaster. You can ride single or double on a tube through the twists and turns. If you want something less adventurous, you can float on Rex’s River for a relaxing afternoon. Little kids will enjoy the Tiny Turtle Lagoon, smaller pools and slides, geared toward younger tykes. Frontier City is Oklahoma’s only theme park, with rides for everyone in the family, those who want thrills and chills, those who just want to relax, and those who want to get wet. On Saturdays, the park offers a concert, free with admission, featuring some great stars, such as the Charlie Daniels Band, Smash Mouth and Newsboys, to name a few. You don’t have to be a daredevil to take a trip across Tulsa on a zipline. You’ll soar above the treetops for 3, 865 feet, going platform to platform while getting the best view of the Osage Hills and downtown Tulsa skyline. The Myriad Gardens is a great place to visit in the summer. They’ve added two interactive water features, Thunder Fountain and a Seasonal Plaza splash pad. There’s a nice dog park where you can play with your canine friend, too. Although the zoos in Oklahoma are open year-round, the best time to visit is when the weather is nice. During the hot afternoons, the animals sleep, but in the morning, you can usually catch most of them out and about. During the summer season, the Tulsa Zoo offers camel tours, which makes this zoo a great summer activity.